The laptop backpack compartment holds up to a 15.6 inch laptop. 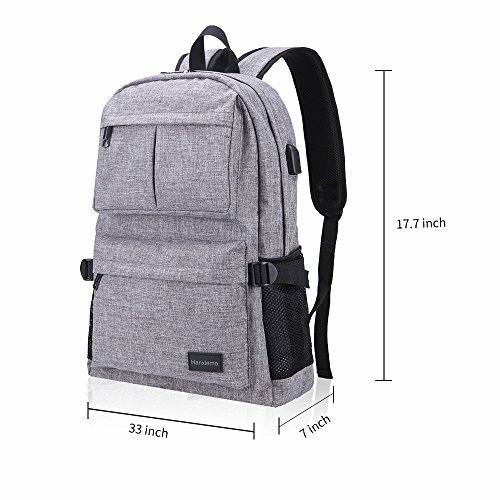 This college backpack can not only soundly protect your laptop, and also hold your books, folders, iPad and other carry-on essentials.It's a very good backpack for working, traveling, hiking, camping, college, school and everyday using. 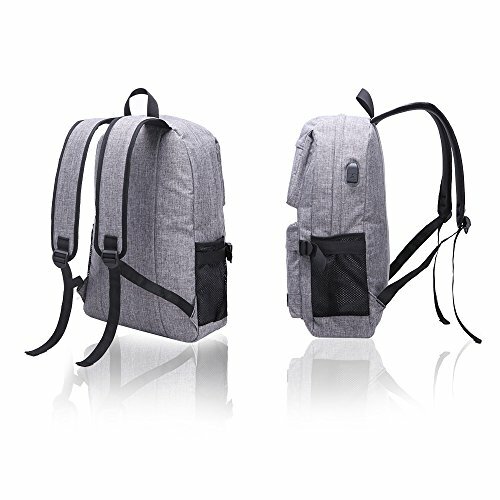 →ROOMY COMPARTMENT: Laptop backpack fit for 15.6 inch laptop. With a hidden anti theft pocket on the back protect your valuable items from thieves. →USB CHARGING PORT：External USB with built-in charging cable. 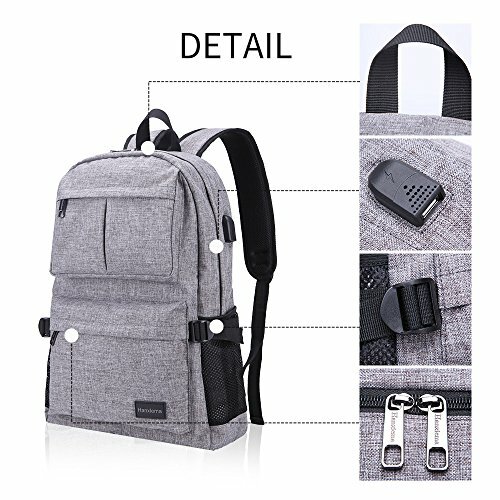 You can easily and conveniently charge your phone, tablet and other devices without opening up the backpack. 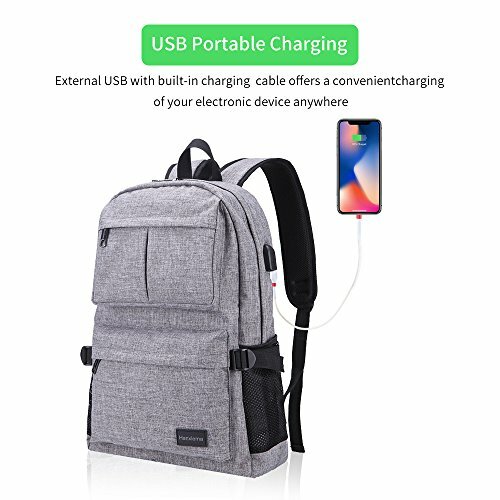 Putting your Power Bank into backpack and connect internal USB cable, then let your charging cable insert external USB port to connect your electronic device. 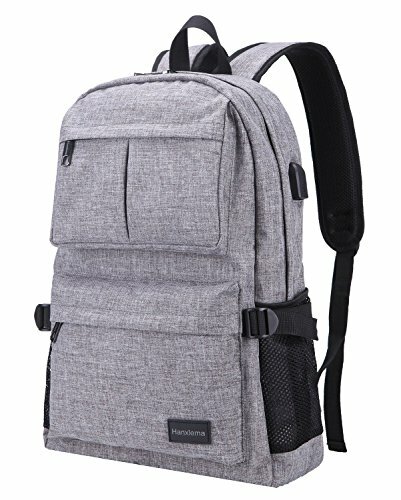 →LIGHTWEIGHT & STYLISH : The design of the backpack is simple and stylish.Good backpack for college，school, working, traveling, and everyday using. 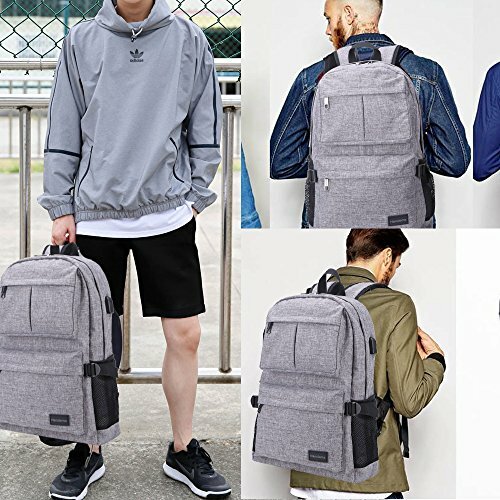 →SIMPLE & STURDY: external made with durable 900 D Oxford Cloth fabric and 210 D 210D PU high density fabric,soft and comfortable.This college backpack is a simple external color design without any patterns,very simple but fashion and you can choose the one you like. 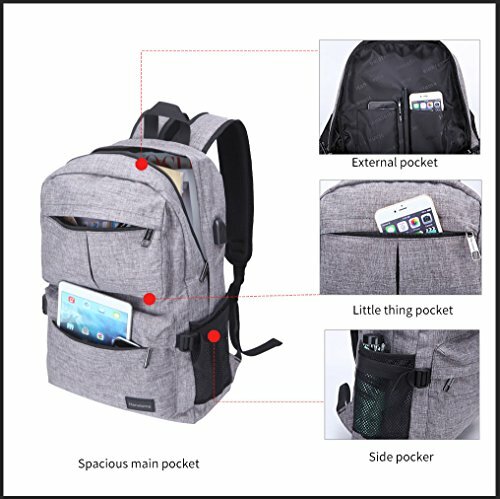 →MULTI POCKETS:3 MAIN pockets & 2 INNER small pockets & 2 SIDE pockets, provides a separated space for your Laptop, power adapter, cables, books, clothes, Phone, pen, keys, wallet, water bottles and more. If you have any questions about this product by Hanxiema, contact us by completing and submitting the form below. If you are looking for a specif part number, please include it with your message.